Drapery hardware is available in many forms from the basic “curtain rod” to motorized traverse tracks that can be controlled by your hand held remote control or through a home automation system. Drapery hardware also has a decorative side from wrought iron to hand painted faux finished poles, the selection is almost endless. The Fabric Source is a stocking distributor for several lines of hardware including the popular wand pull, commercial drapery track system used by many hotels and rental condominiums, a contemporary European line of metal rods and rings and decorative wood fascia system for our commercial drapery track. 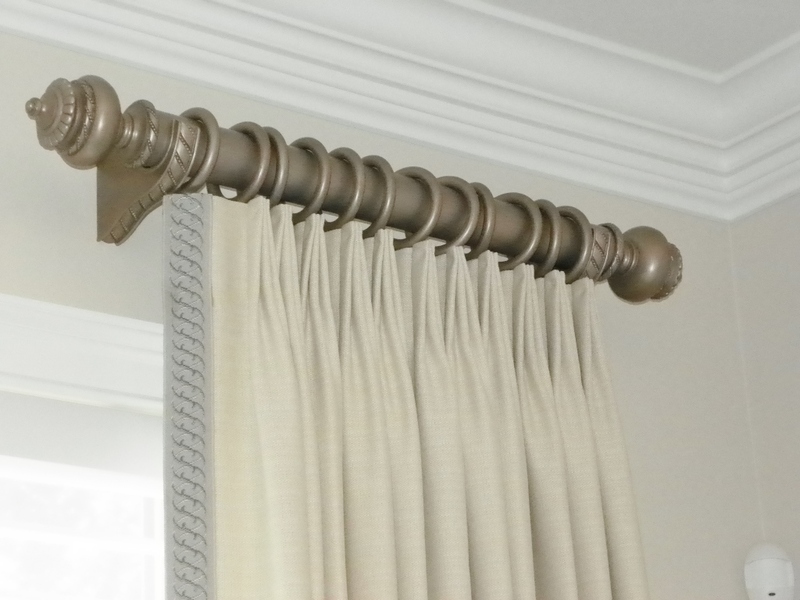 Visit our showroom to see the latest in drapery hardware.